WASHINGTON -- President Obama says part of Russian President Vladimir Putin's "shtick" is to look like the tough guy in Russia. 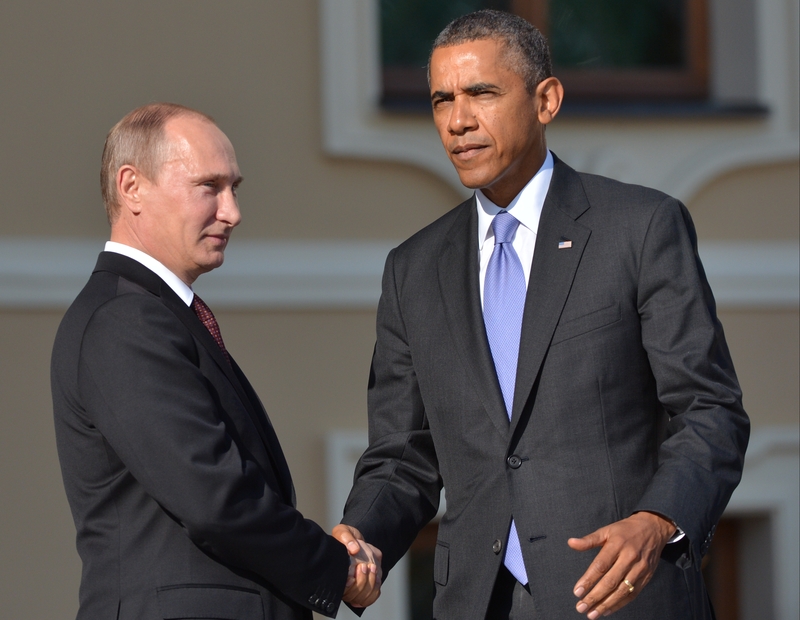 Mr. Obama says Putin has always treated him with the utmost respect. He says when he meets with Putin, there's lots of humor and give and take. But Mr, Obama says that in public, Putin's style is to sit back and look "a little bored" during joint interviews. During Mr. Obama's tenure, the U.S. and Russia have had disagreements over Syria, American fugitive Edward Snowden and human rights. Mr. Obama made the comment in an interview with NBC News that's set to air Friday. Excerpts of the interview were being released in advance. The comments came a day before Friday's opening ceremony of the Winter Olympics taking place in Sochi, Russia. Putin and Russia have been widely criticized for limiting gay rights.